Among the many country-heads now in Goa, Prachanda has his job cut out. Long-promised and eagerly-awaited constitutional amendments haven't yet been introduced at the Nepalese Parliament, but Prime Minister Pushpa Kamal Dahal is headed for Goa, in India, for the Bay of Bengal Initiative for Multi-Sectoral Technical and Economic Cooperation (BIMSTEC) Summit. It will be an occasion for him to get away from the political stasis at home. His diplomatic challenges, however, are likely to be immense. Convincing two mighty neighbours that normalcy is slowly limping back into body politic of Nepal isn't going to be easy. The leader of Thai junta, Prime Minister Prayut Chan-o-cha, has already withdrawn from the Goa meet due to national mourning over the death of King Bhumibol Adulyadej. This has reduced the impending BIMSTEC to the level of a shorter version of South Asian Association for Regional Cooperation (SAARC) without Afghanistan, Maldives and Pakistan, but with Myanmar in its ranks. The jamboree on the eastern coast of Arabian Sea is being held primarily for the BRICS (Brazil, Russia, India, China and South Africa) Heads of State or Government. It will also be an opportunity for IBSA (India, Brazil and South Africa) honchos to confabulate over the future of Asia, South America and Africa at global forums. Vladimir Putin or President Jacob Zuma will go beyond courtesies to court littoral states of Bay of Bengal. But the alphabet soups of diplomatic initiatives will offer a great opportunity for photo-ops in the city by the beach. The BIMSTEC Summit in Goa is a sideshow. Prime Minister Narendra Modi is perhaps hosting the event to show India's sway over its neighborhood and undermine the importance of SAARC in fostering regional cooperation. 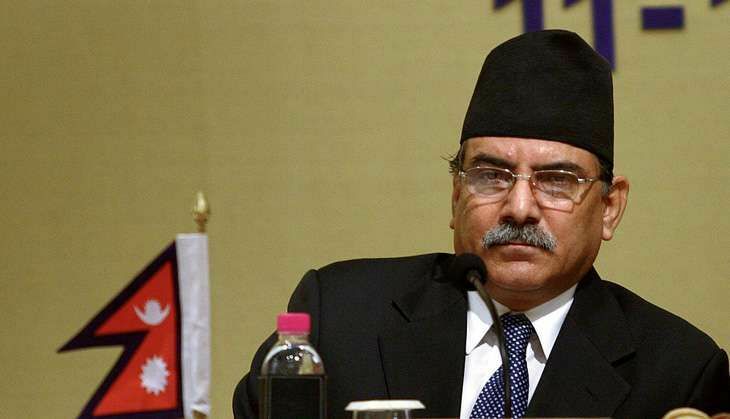 Since Nepal currently heads BIMSTEC as well as SAARC, and had to announce the cancellation of Islamabad Summit due to the inability of some of its members to attend the event, Premier Dahal shall have to exercise some diplomatic adroitness in navigating through regional controversies. Xi Jinping and Indian Prime Minister Modi-the two titans of Asia that exercise considerable influence in the internal squabbles of Nepalese politics. It's almost axiomatic that foreign policy is merely an extension of domestic policies. In Nepal, it's the other way round: where domestic policies are often dictated by compulsions of geopolitics. Perhaps that's the curse of being at the crossroads of great powers. Somewhat similar to the situation of the 1960s, Kathmandu is caught in a bind as Nepal's three neighbours-two of the land and third one from the skies-jostle to have the final say as the country attempts to institutionalise the newfound republic. Under his much ballyhooed 'neighborhood first' policy, Prime Minister Modi seems to believe that only he knows what's best for Nepal. President Xi Jinping's zhoubian waijiao is equally egocentric: it puts Beijing at the centre of the so-called 'peripheral diplomacy'. Meanwhile, under the Pivot Asia initiative, the mighty neighbor from the skies is unlikely to loosen its grips over the byzantine corridors of power in the Kathmandu valley. At the Goa diplomatic fest, the United States of America is likely to be the most important absentee engaging the minds of everyone present. It was easy for Maoist guerilla supremo Prachanda to denounce "Indian Expansionism" and "US Imperialism" from the sierras as he extolled virtues of Chairman Mao from his hideouts. Balancing their conflicting interests as the leader of the United Communist Party of Nepal (Maoist)-the third-largest party in Parliament-and the Prime Minister of the country is a different ballgame altogether. But try Premier Dahal must, for his political fortunes depend upon the outcome of his diplomatic jugglery. There is a reason Navratri in much of the mid-mountains of Nepal is celebrated as Bada Dashain-the Great Dussehra-and is observed for a full fortnight. For a week, almost everything in the country, including the operation of commercial banks and publication of daily newspapers, comes to a complete halt. The importance of the festival can be gauged from the fact that an activist on a fast-unto-death to protest against corruption in the medical education of the country suspended his agitation for the duration. Festivities this year, however, were marred by anxieties. On the day of Vijaya Dashami, an aftershock of 4.6 Magnitude with Dolakha as its epicenter shook the Kathmandu valley floor. The following day, another aftershock of 4.1 Magnitude hit the region once again. The National Seismological Centre in Kathmandu records that the Gorkha Earthquake of April 2015 has been followed by 472 aftershocks with Local Magnitude of four or greater. The government has done precious little to alleviate the sufferings of quake survivors. Many of the affected families observed Dashain rituals in their makeshift shelters. Resilience is the term politicos use to hide their incompetence; it's actually helplessness that better captures vulnerabilities of Nepalese that have little or no control over their destinies. After being ousted from office, lapsed-Maoist ideologue and former Prime Minister Baburam Bhattarai has taken to social media like duck to water. The head of a brand new party, appropriately named Naya Shakti (New Force), he does most of his politics these days through Twitter and Facebook. "After last year's devastating tremors, we used to say Nepal shouldn't walk down Haiti's path! Now others have begun to say that Haiti shouldn't go Nepal's way! We are indeed blessed!!" e, however, is that he is a partner-in-crime of the gross negligence. It all began with the signing of the conspiratorial 16-point deal between three of the main political parties-the Nepali Congress, The CPN (UML) and the UCPN (Maoists)-in the middle of frequent aftershocks June last year that decided to "fast-track" a majoritarian constitution in gross violation of the letter and spirit of the Interim Statute. Bhattarai was a partner and participant of the calamitous pact. Challenges of relief, rehabilitation and reconstruction works were pushed to the back burner. Aspirations of Janjatis, Dalits, women and Madheshis were completely ignored. Well-meaning suggestions for restrain were thrown into the dustbin. The 'opportunity' offered by tremors was seized to recapture the state and turn the constitutional clock back. The PEON was soon in the saddle in a legitimate manner with Premier Khadga Prasad Sharma Oli controlling the reins of power. In protests that ensued prior to and after the promulgation of the controversial charter last year, over four dozen Madheshis were shot dead, hundreds were grievously injured, and thousands remained out of work for several months. The mainstream Nepalese media, however, termed blockages along supply lines from southern land route as "Indian Blockade" and completely ignored all political claims of Madheshbadi parties that wanted federal boundaries revised and representation based on population ensured. The government changed early-August with promises of amending the constitution to address minority concerns, but the process of rectifications are yet to begin. Though out of government, Chairman Oli still has enough parliamentary numbers and sufficient political clout to thwart any suggestion for correction in the charter with relative ease and thus scuttle its practical adoption. Premier Dahal probably feels that the outside powers that insisted upon the promulgation of a constitution in the middle of multiple national crises must first be convinced that appropriate amendment in the statute is a necessary condition for its implementation. The Goa confab offers a window of opportunity to convince concerned sceptics of his good intentions. Premier Dahal can look forward to yet another break towards the end of the month and early November-the long Tihar and Chhath festivals-to gather his wits before being thrust into the winter of discontent. Normalcy is perhaps the most difficult condition to achieve in the politics of evolving republics.